Officers received a report of two men getting into a large white box that was in the desert. 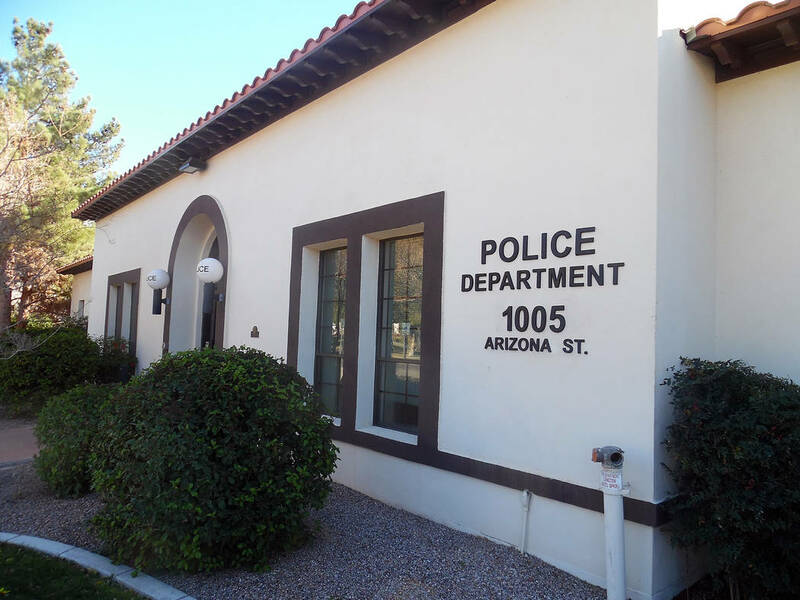 Someone came into the police station and said a subject was continually throwing bags over a wall and into the desert. The latest bag had several animal bones and a dead rat in it. A woman told the police she had let people into her home the day before. While they were there, she said they went into her bedroom and looked at her jewelry and then left. A woman called the police and said her neighbors continue to throw their cat into her yard and she could not take care of it. She said she thought the neighbors were not taking care of the cat. Officers received a report that a woman had let a man who said he was with Cox into her house. She said he told her he was in the area because of high charges on Cox bills. He asked to look at her television and then asked her for the statement from her last bill. When she came back, the woman said she saw that he had gone through her purse that was in the kitchen. He had taken $1,600. Officers received a report of man with white hair wearing a flannel shirt and blue jeans, who was knocking on his neighbor’s door and harassing her about her husband. He had a bag of Doritos and a drink. Someone reported a man with a backpack running through the neighborhood. He opened a gate to a neighbor’s yard and went in. The caller said there was also a helicopter with a spotlight on the area. Officers investigated and found out it was a Mercy Air helicopter landing and was unrelated. Officers received a report of man who was walking along Adams Boulevard and appeared to be carrying Amazon boxes under his jacket. They investigated and found that he was not carrying boxes. He was carrying trash. Officers received a report that a man came into a business and threatened to rob the clerk. He also threatened to perform sexual acts on her. Officers responded to an accident where a juvenile on a bike had been hit by a car. A man called the police and said he thought someone was trying to break into his neighbor’s house. Officers responded and found some damage had been done to the door frame but nothing inside had been taken. Officers received several calls about a pair of missionaries who were knocking on doors. They located the subjects, who said they were going to be out until 9 p.m.
A man reported that the gas has been siphoned out of his RV. A woman called the police and said there was possibly a gas leak inside her home. She said she had called the gas company. She said there was no gas smell in the garage so she was going to go there and wait for help. Officers responded and found her oven had been left on. They turned it off and aired out the house.